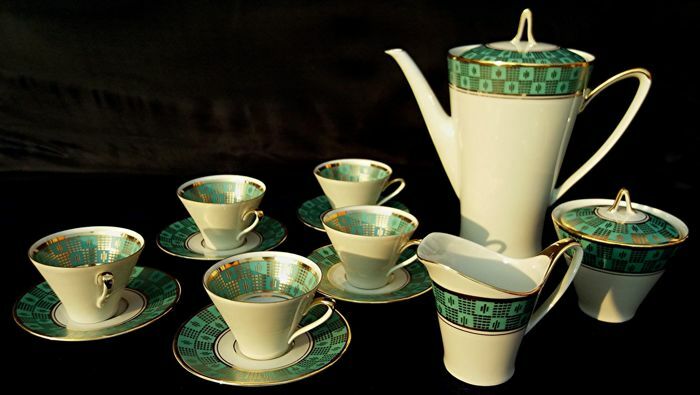 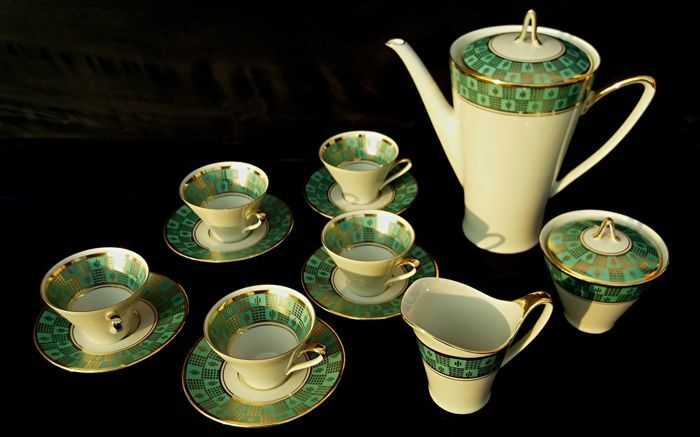 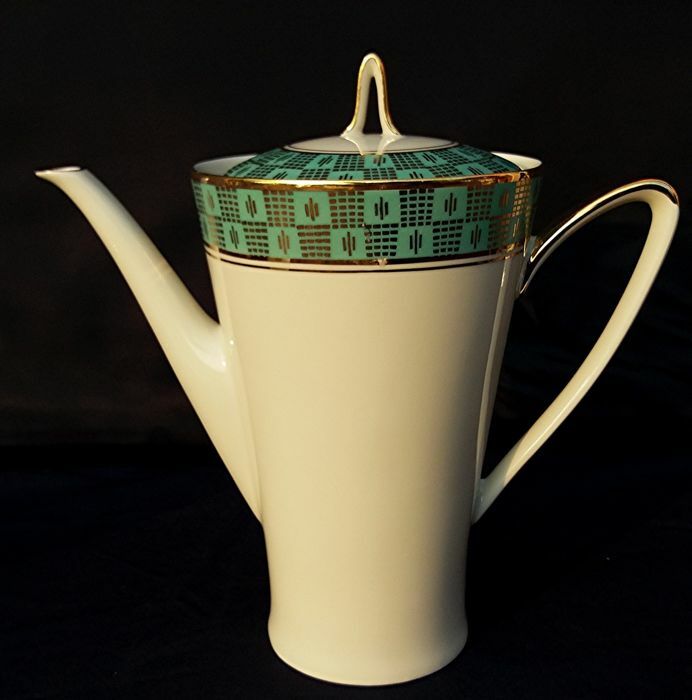 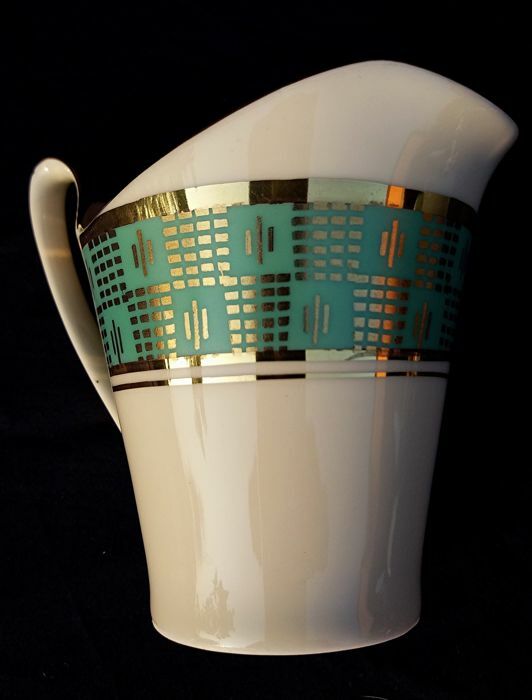 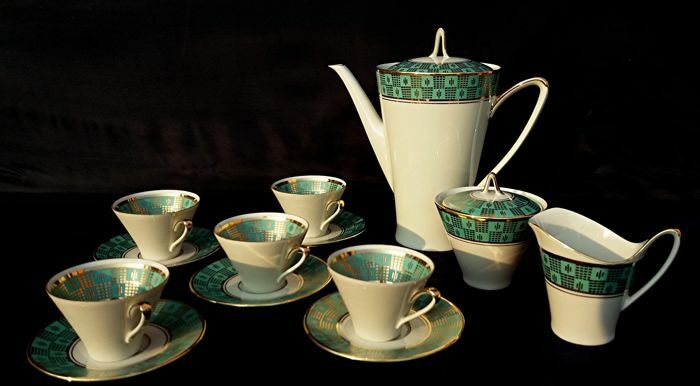 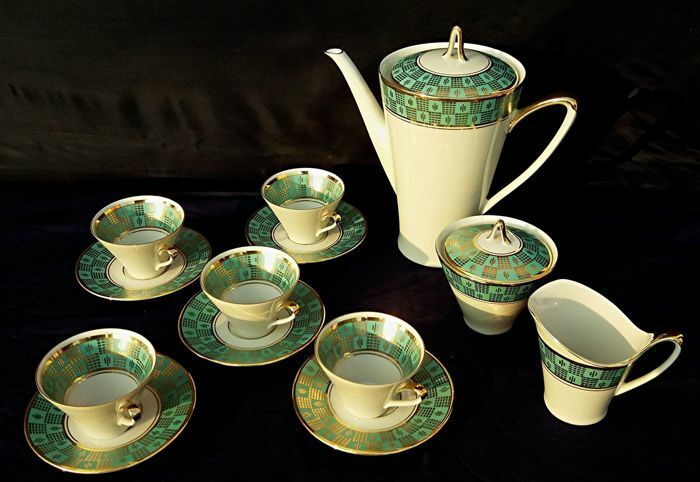 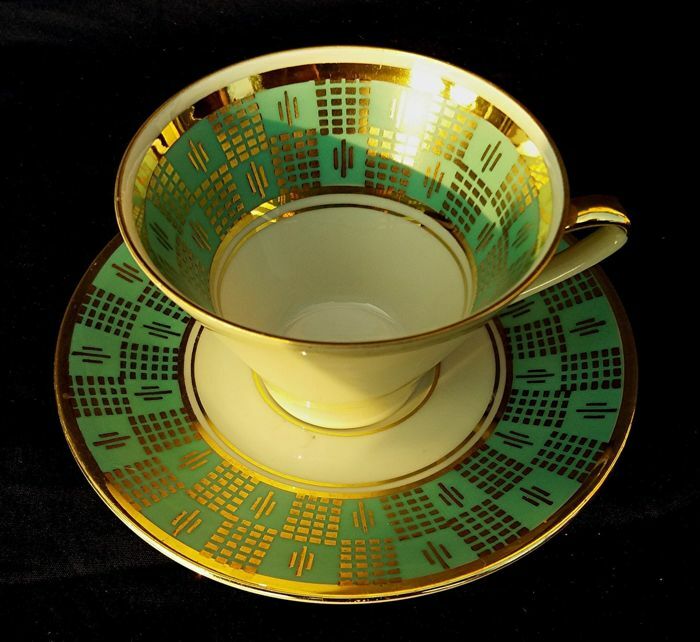 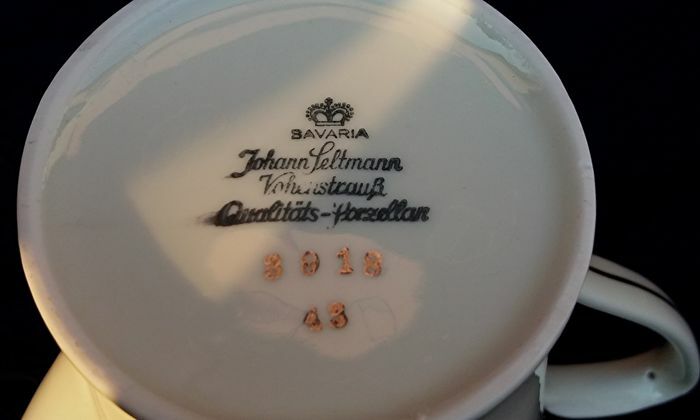 Bavaria Johann Seltmann Vohenstrauss coffee set, 1950/55. 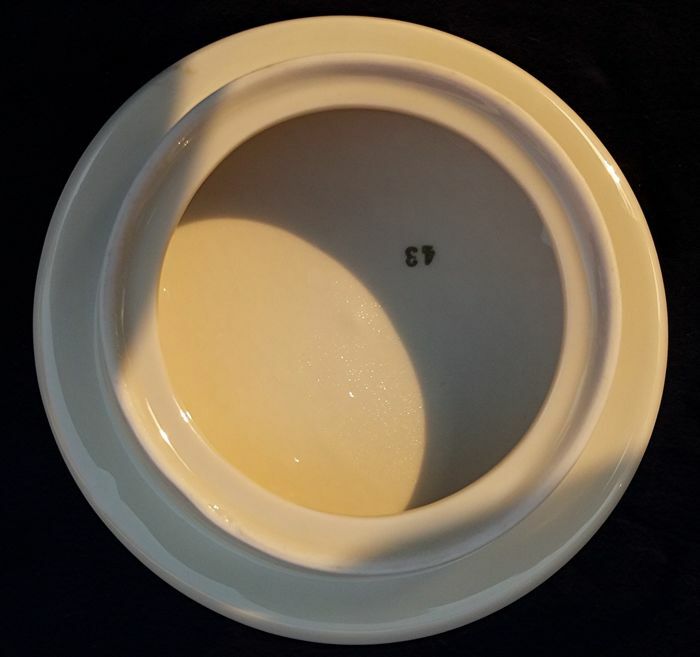 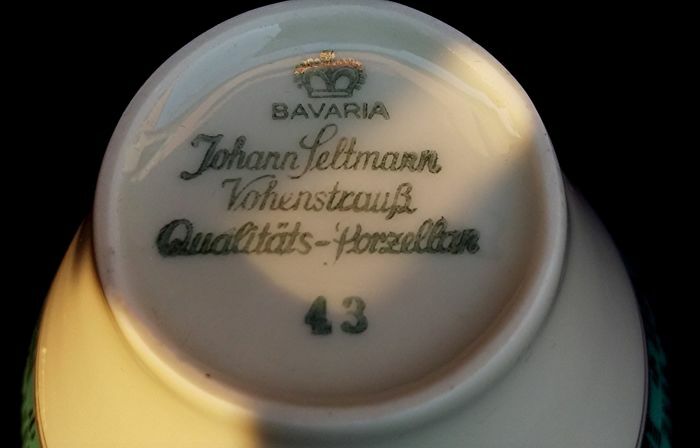 Set of very fine Bavarian porcelain, it comprises: 5 saucers (D 11.5 cm), 5 coffee cups (H 5 cm, D 7.5 cm), sugar bowl with lid (H 10 cm, D 9.3 cm), milk jug (H 8.5 x 10.5 x 6.5 cm), coffee pot with lid (H 22 cm, D 11.5 cm), hallmark on underside: Bavaria Johann Seltmann Vohenstrauss. 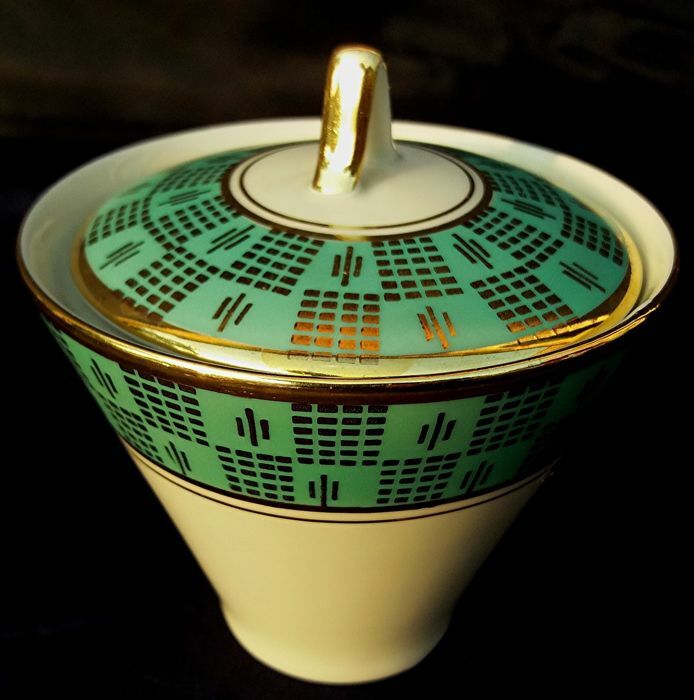 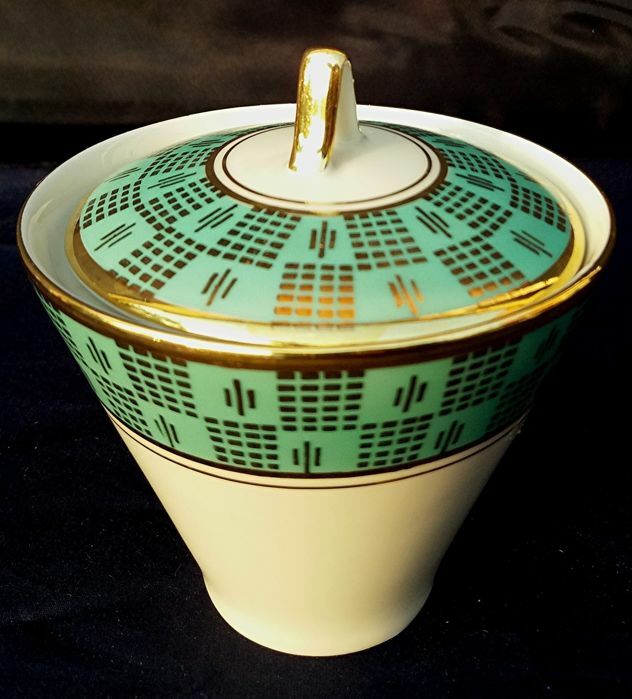 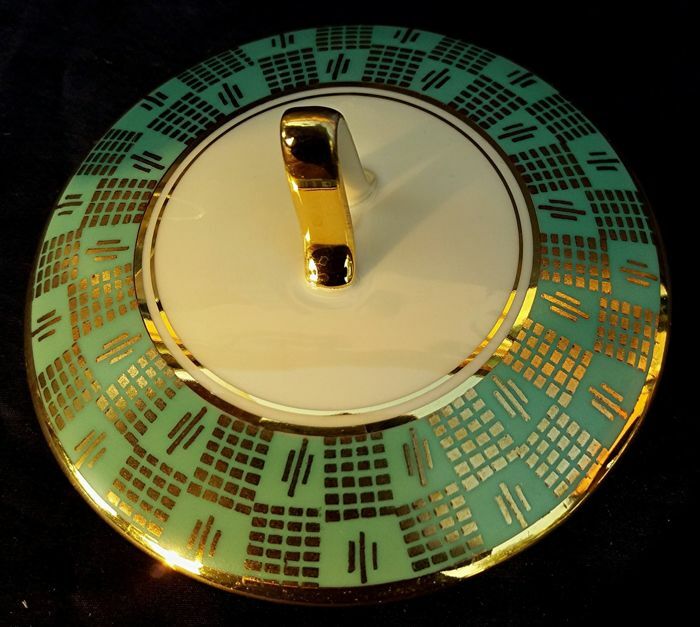 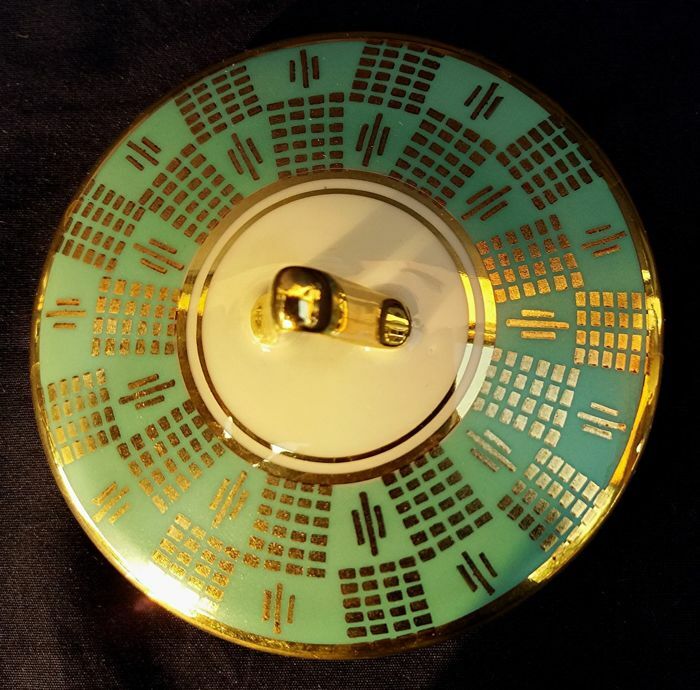 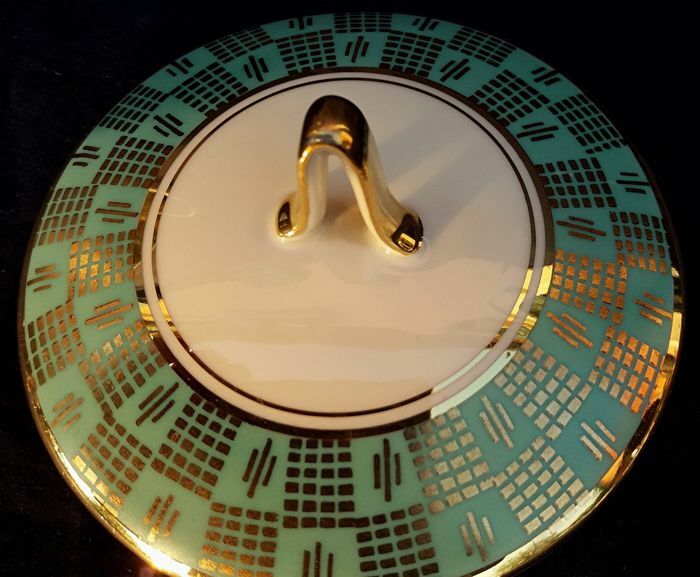 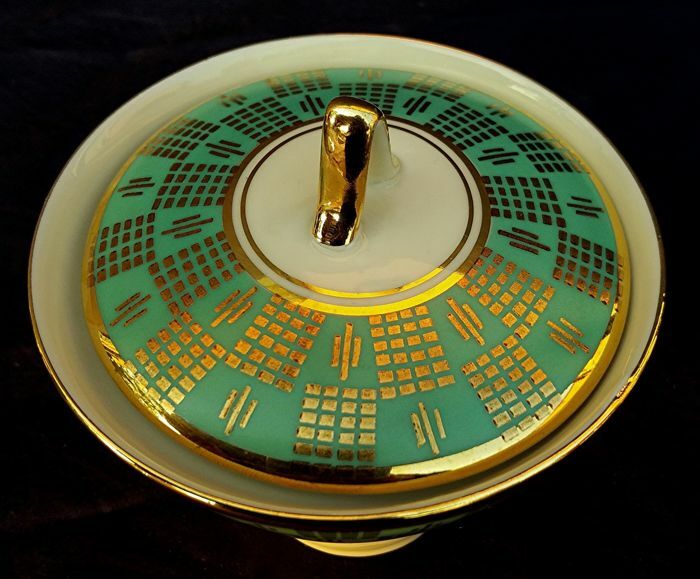 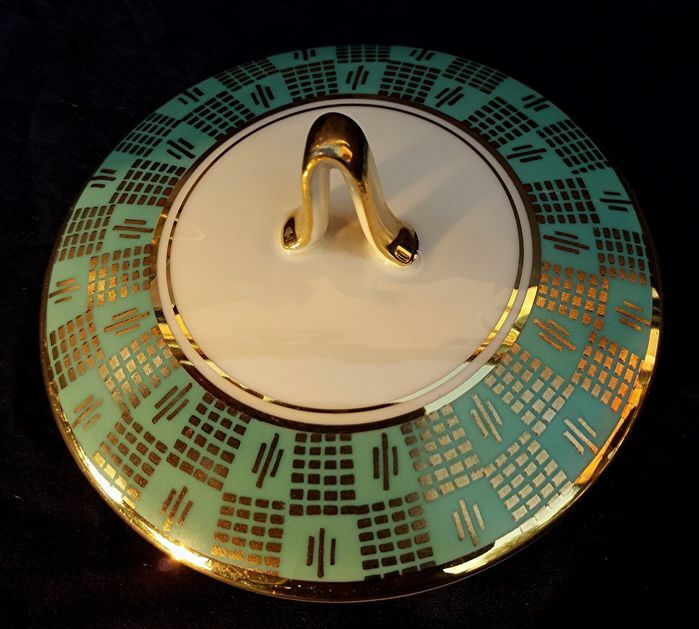 Very fine porcelain in ivory white enamel both inside and outside, with handmade decoration in pure gold on a broad green polychrome band. 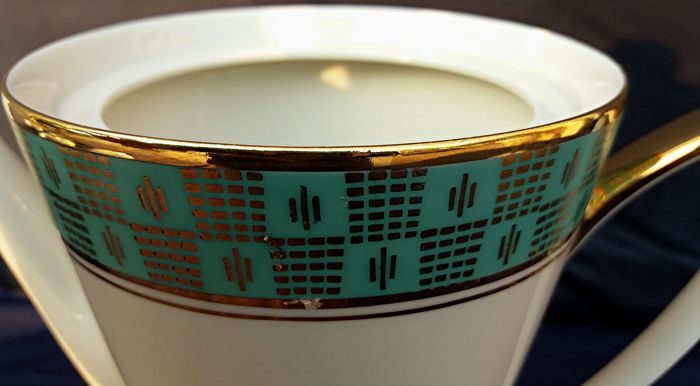 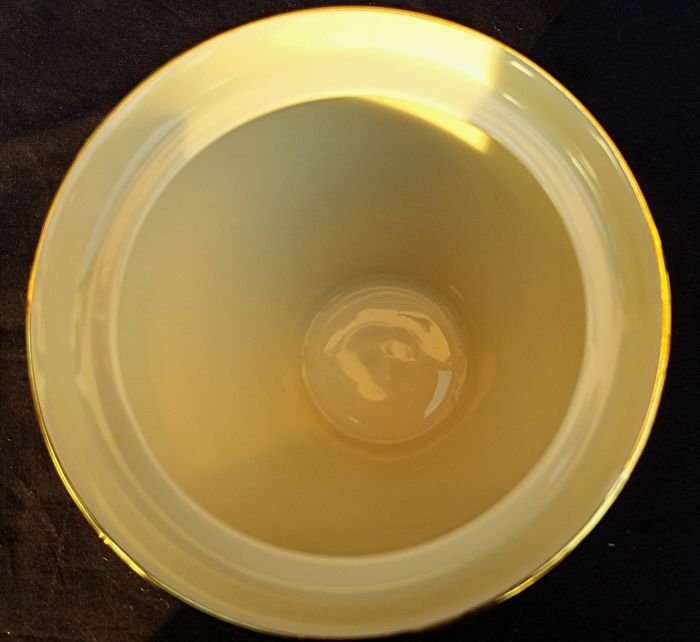 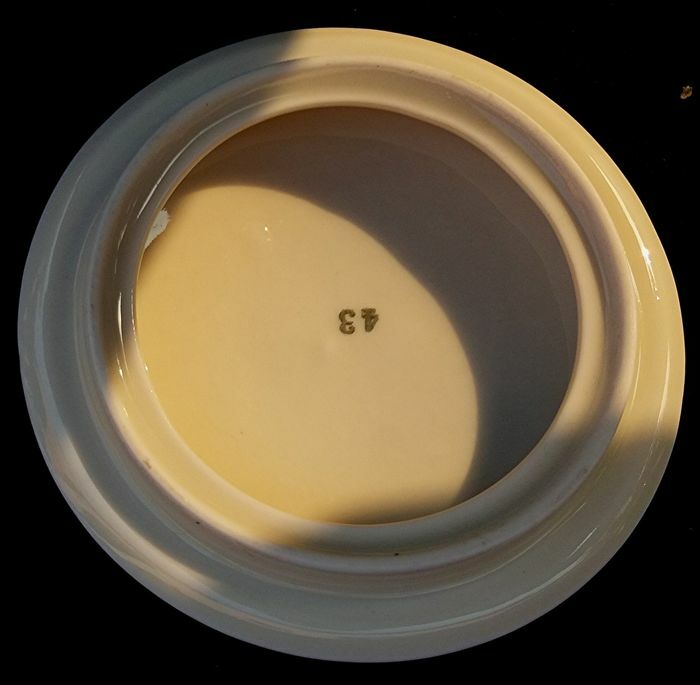 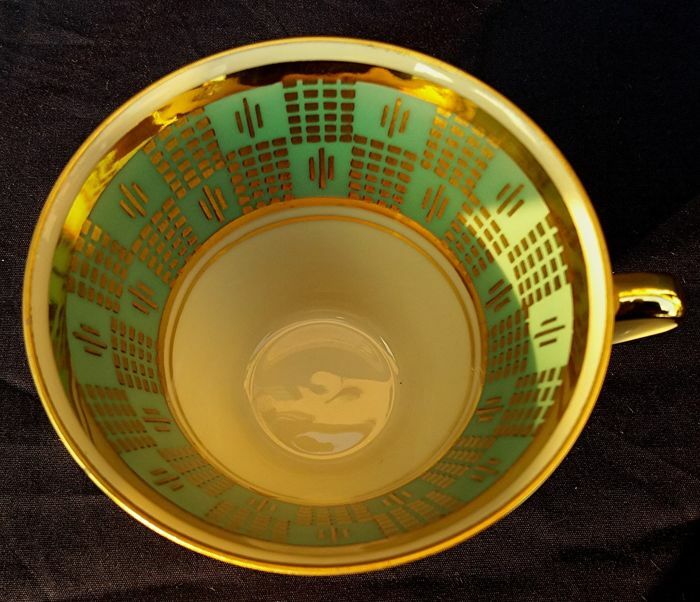 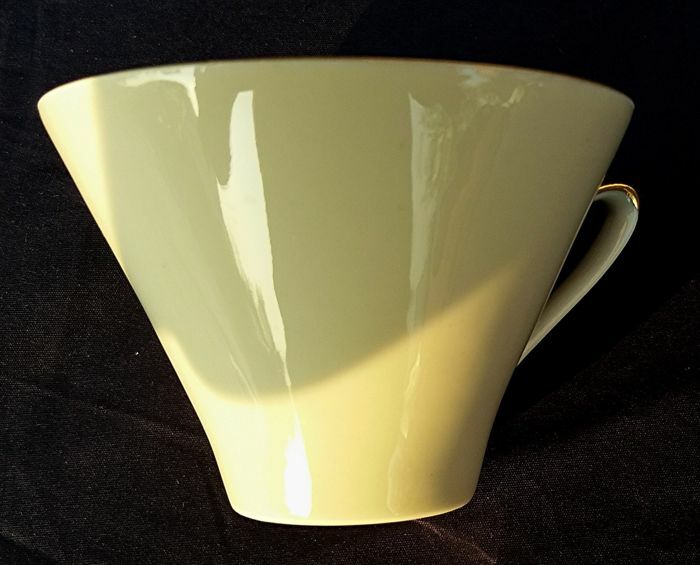 Well preserved, with signs of wear: one of the cups is chipped (see photo No 5). 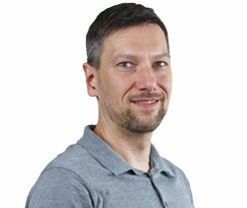 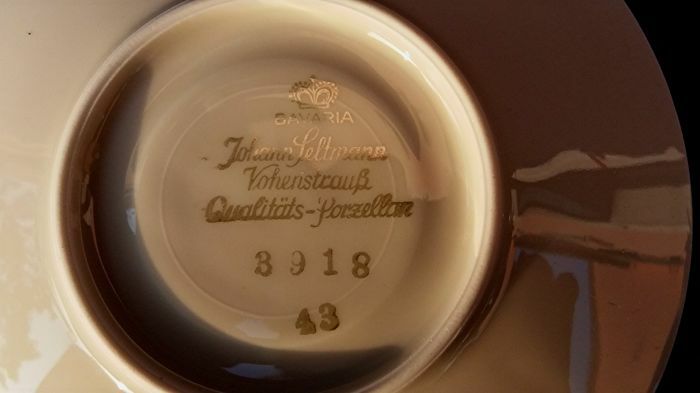 Johann Seltmann Vohenstrauß has become a byword for small and very small productions of the most excellent quality. 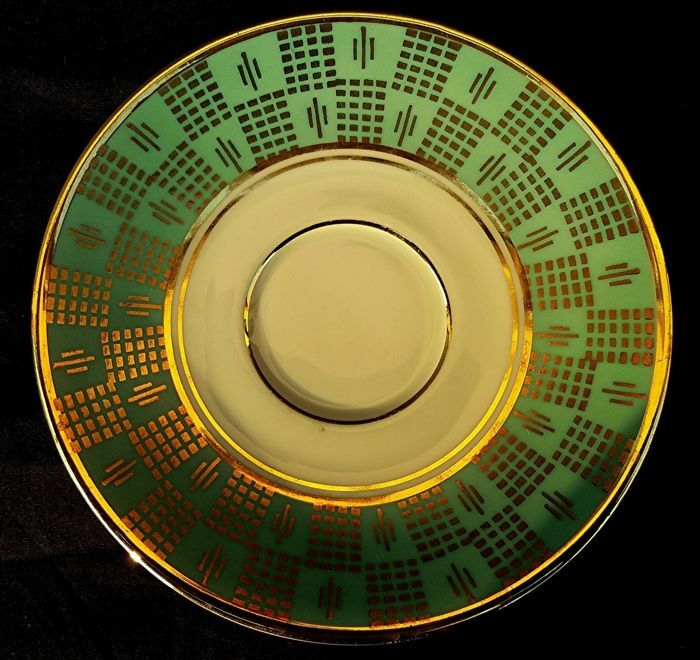 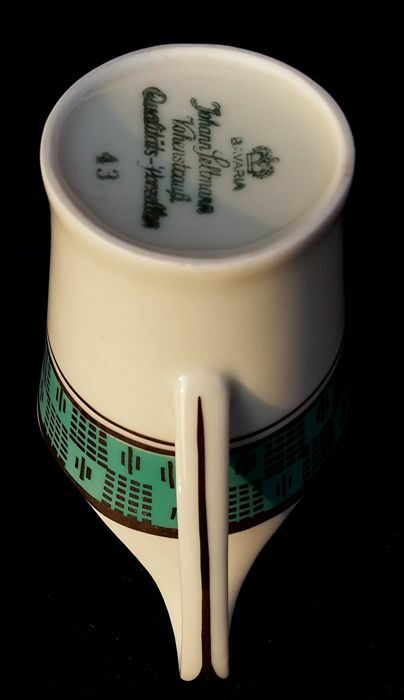 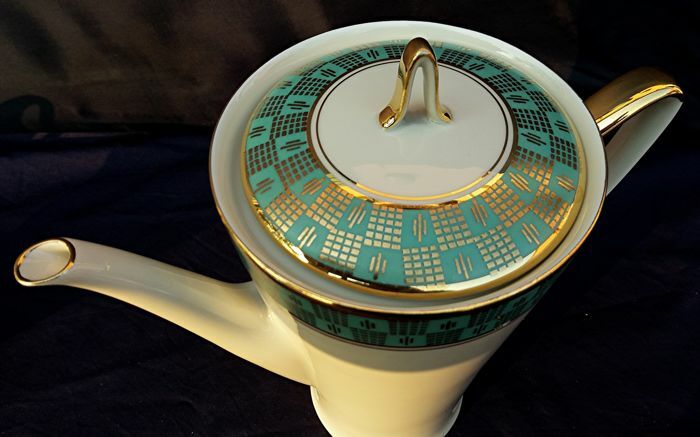 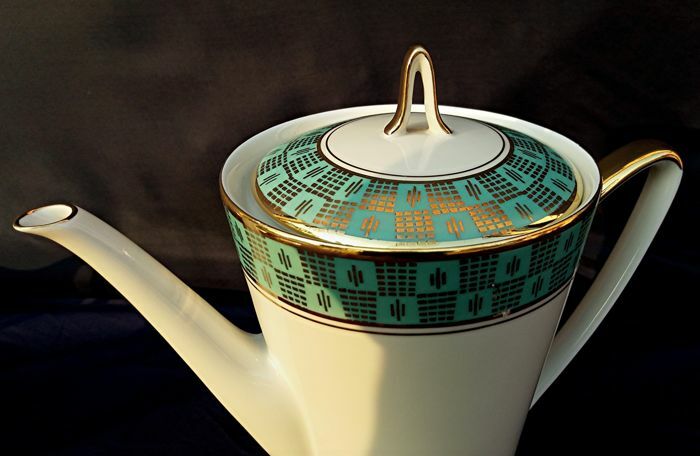 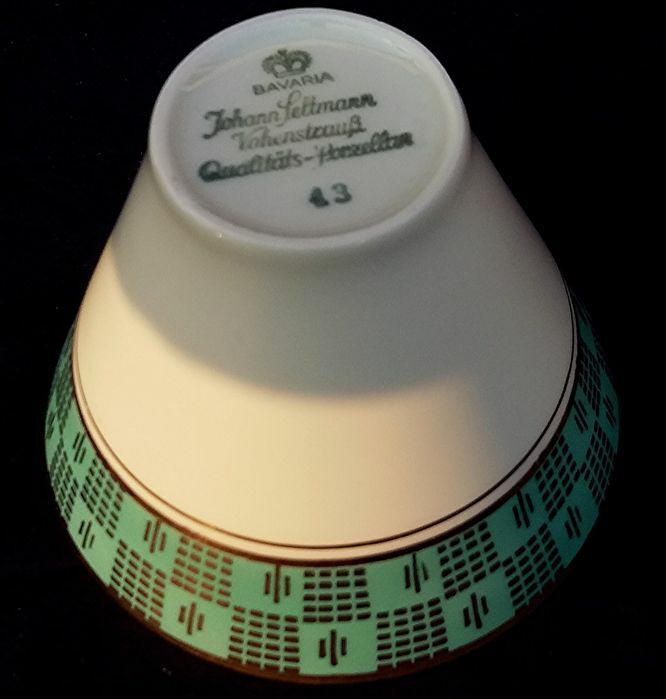 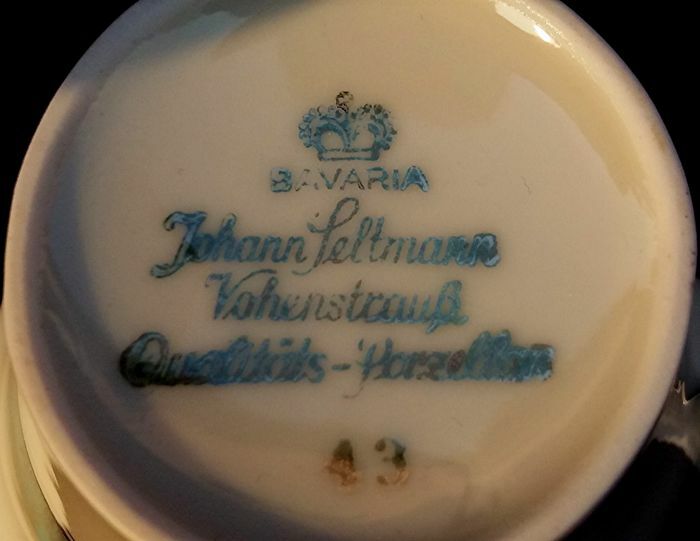 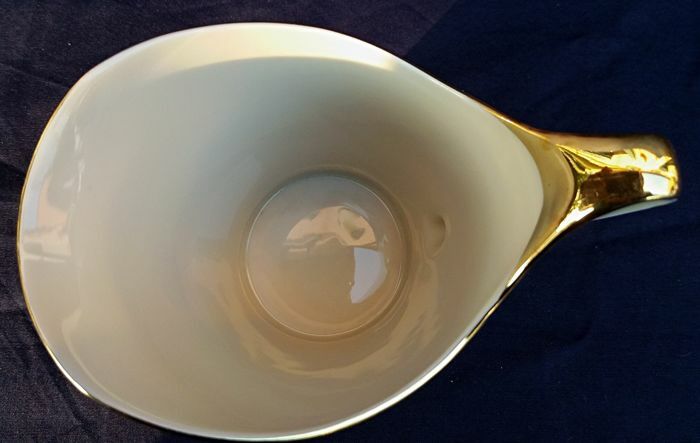 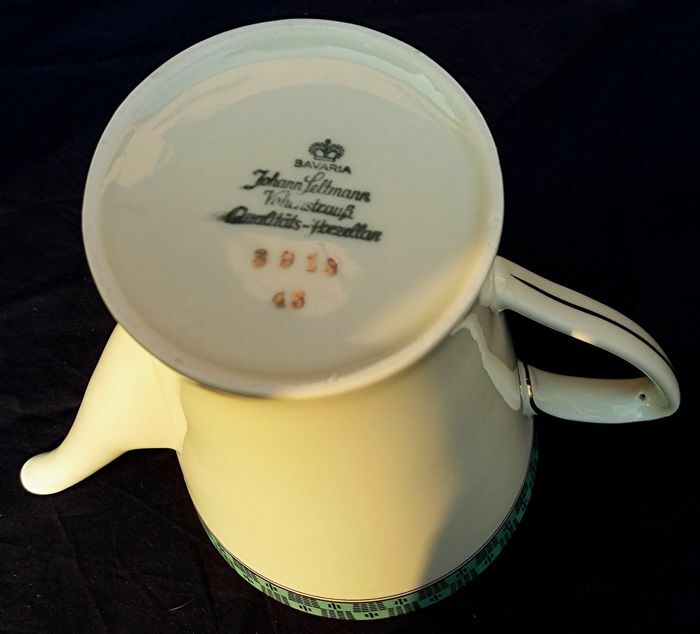 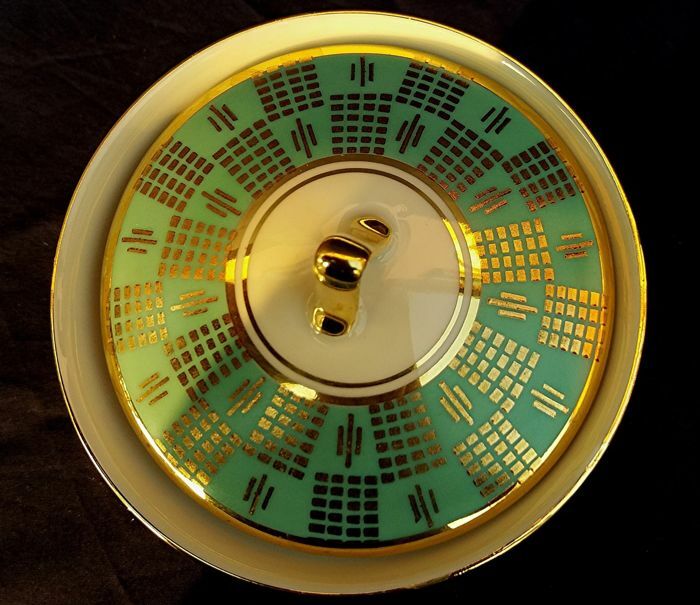 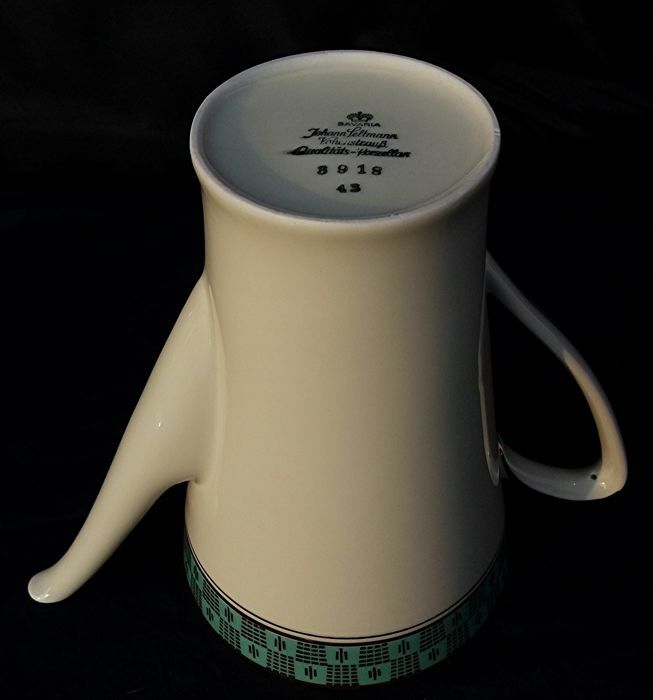 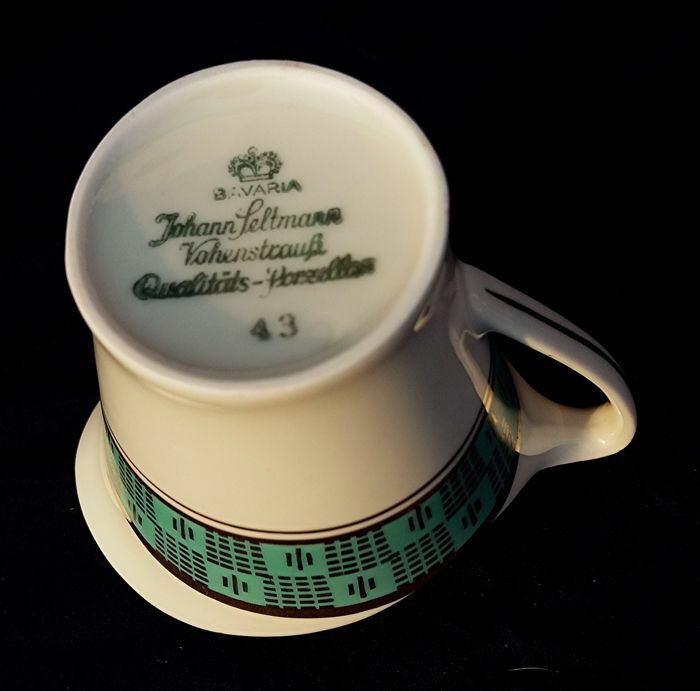 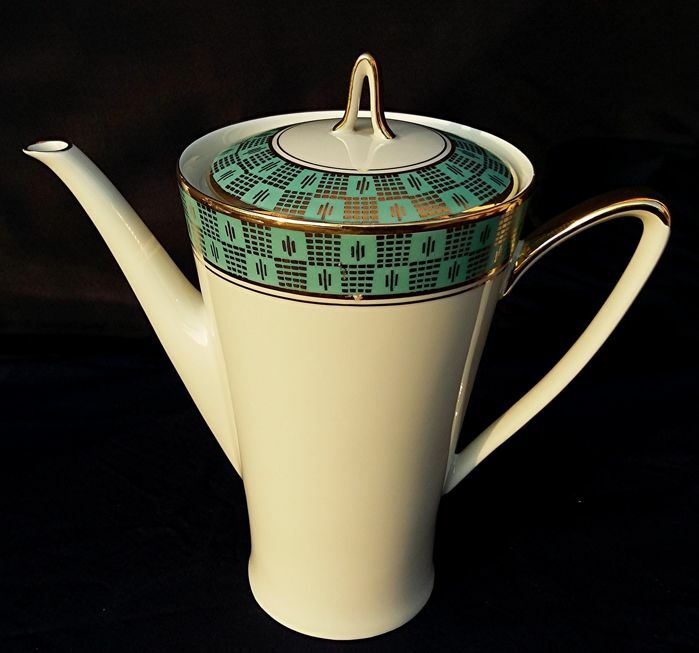 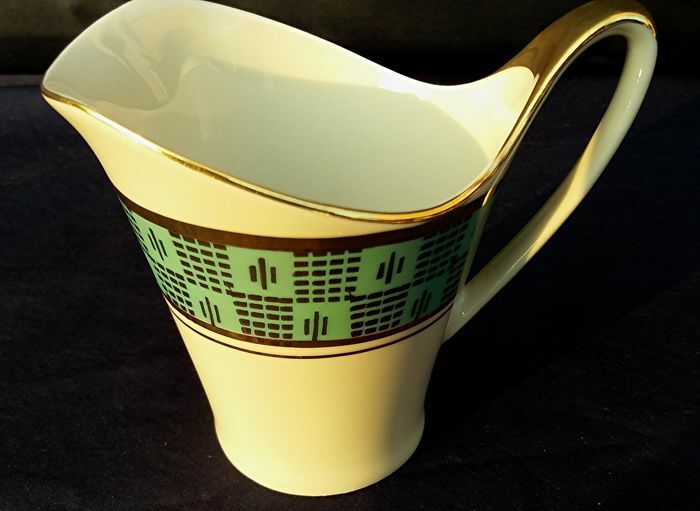 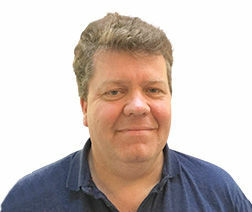 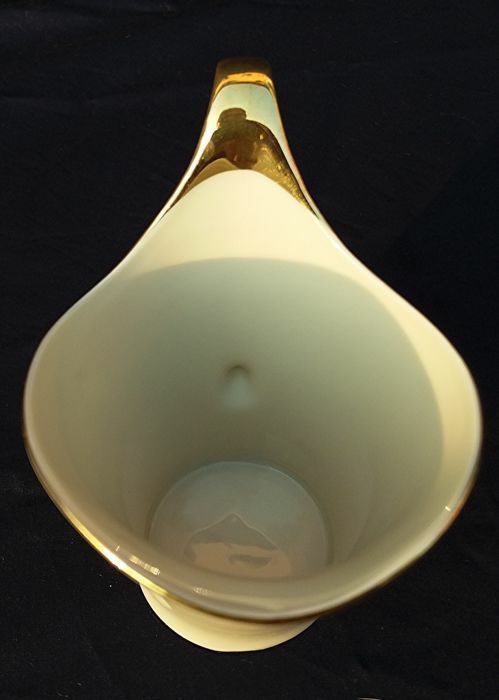 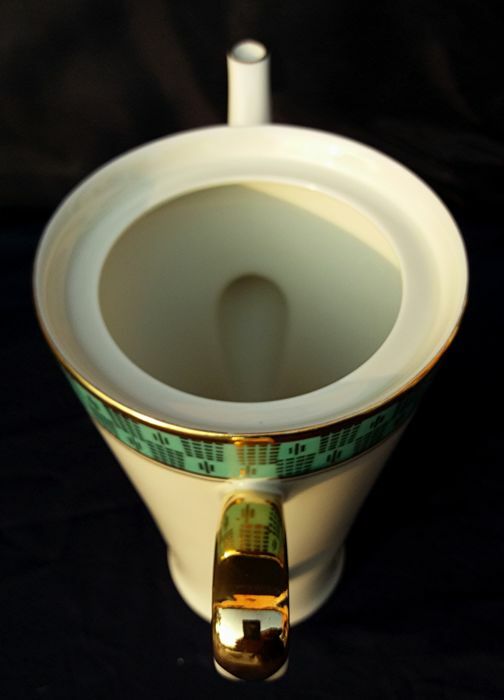 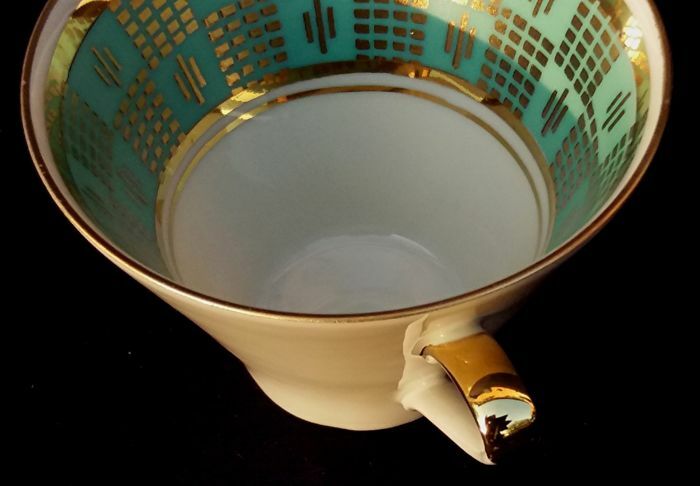 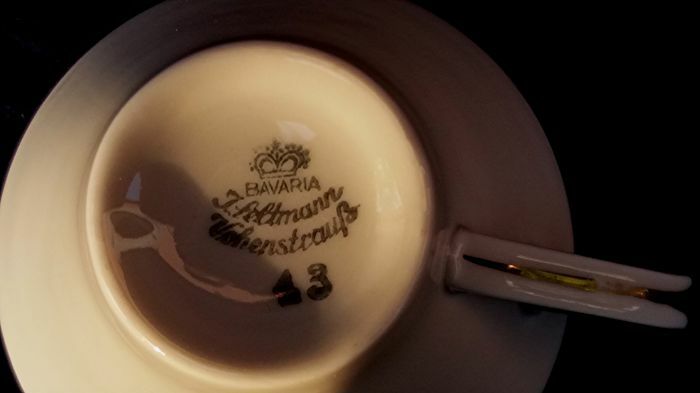 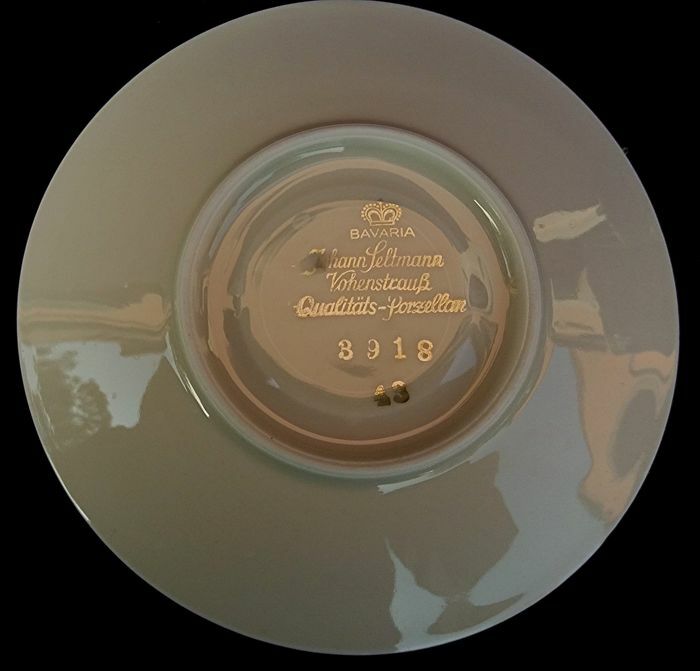 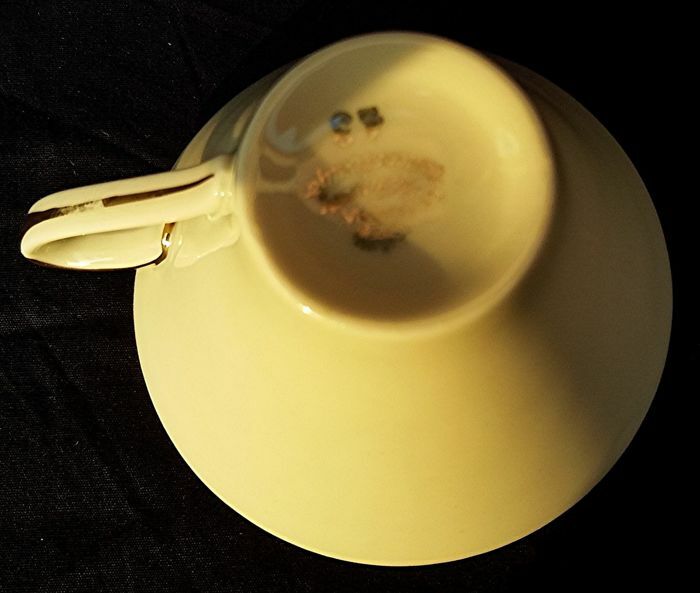 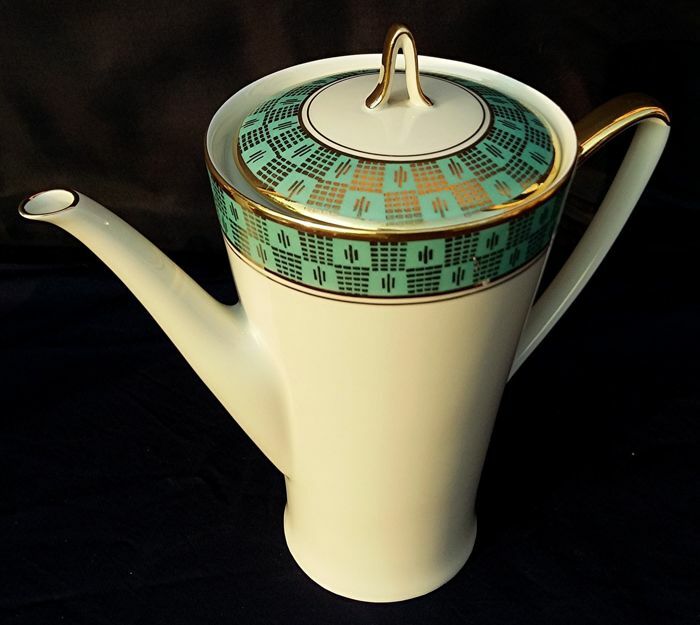 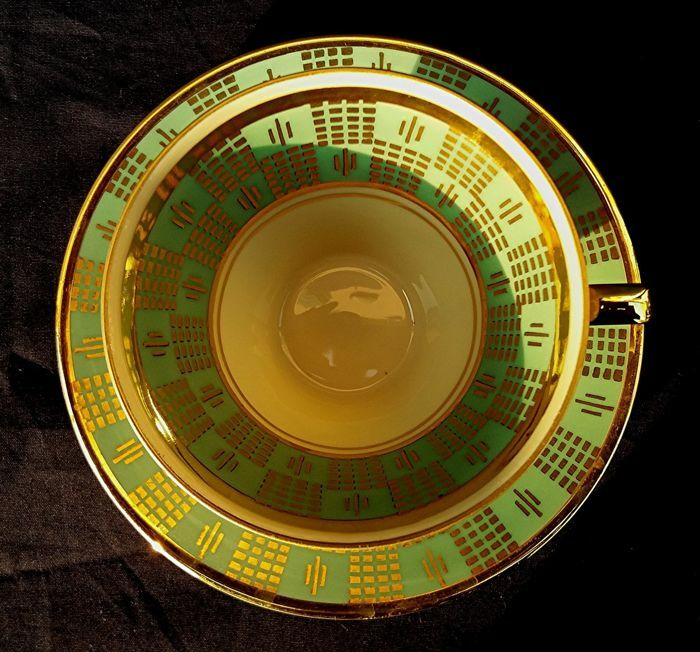 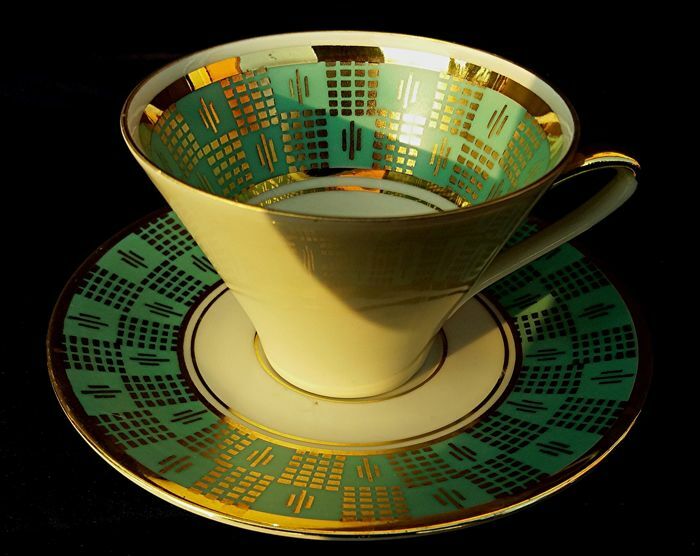 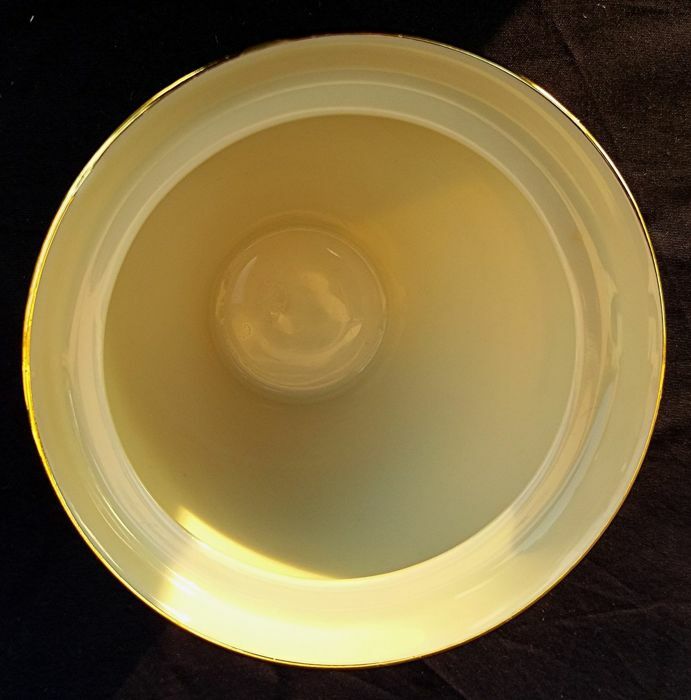 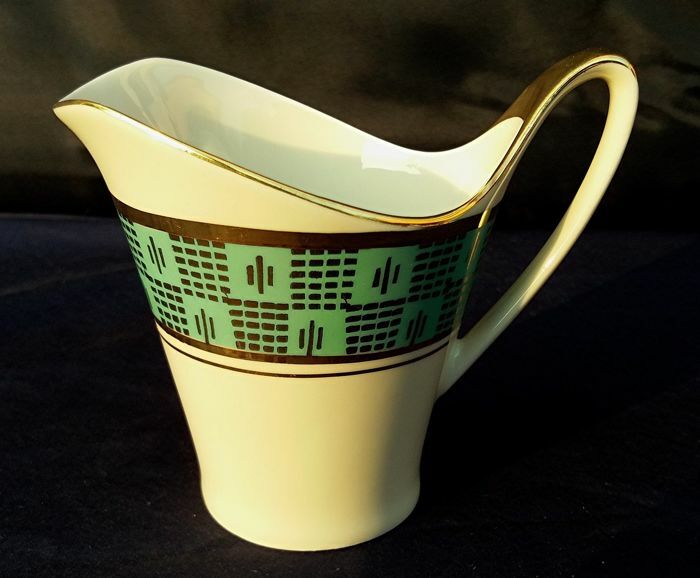 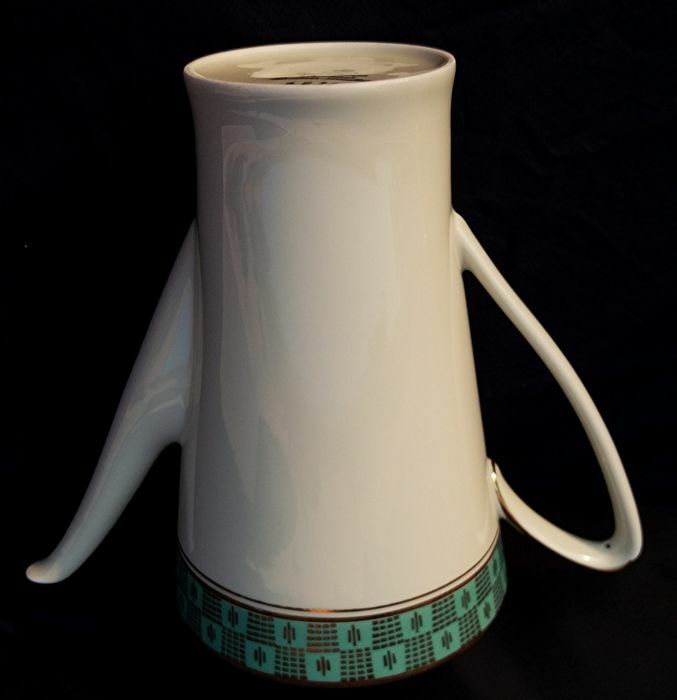 The company was founded in 1901 by landowner Johann Seltmann with his younger brother Christian Seltmann, who had learned the porcelain craftsmanship. 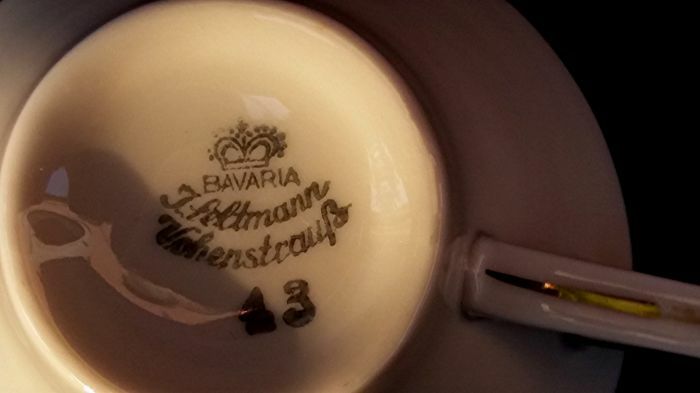 Vohenstrauß suspended production in 1996.